This entry was posted on March 25, 2019 by Amberley Publishing. Although I was raised in Yorkshire – and traditionally there is no love lost between the two counties – I have grown to love Lancashire. My latest book ‘50 Gems of Lancashire’ celebrates this remarkable county and all it has to offer those who like to explore its treasures, especially those off the beaten track. And contrary to popular belief, Lancashire has far more areas of beautiful countryside that its traditional industrial image would suggest. The ‘gems’ is this book are either buildings, structures, locations or landforms that are either rare or unusual architecturally, or associated with a fascinating story which helps bring history vividly to life. One such story is that of Sambo, a young slave boy. 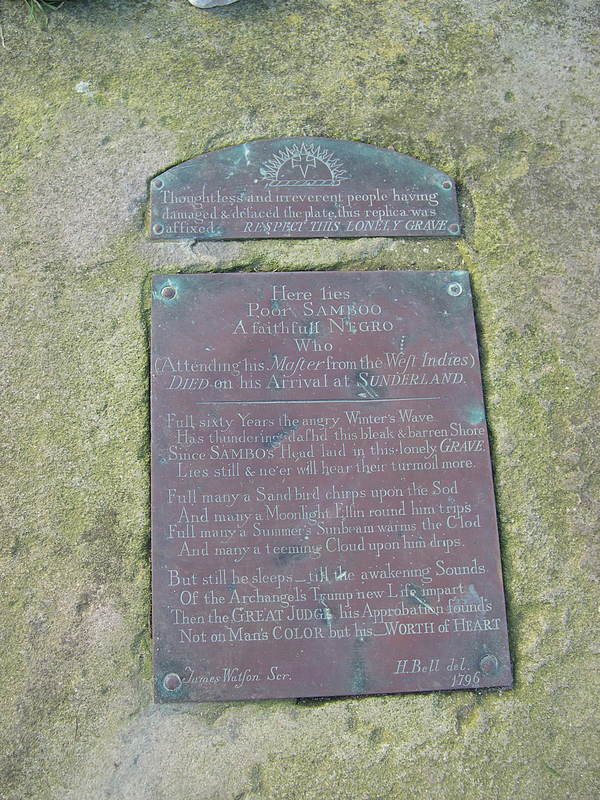 The site where he is buried at Sunderland Point a few miles away from Lancaster is my favourite spot in the county. I did ponder whether to include this gem in the book. After all, the word ‘Sambo’ has some derogatory associations, despite the fact that the original book portrayed its characters favourably and set the book in India, not Africa. To settle the matter, I consulted some Afro-Caribbean friends, who responded: ‘It is his name, so who has the right to deny him his name or his little place in history?’, and ‘That’s part of my history, it has got to go in the book’. So I see this gem as honouring Sambo and those like him. Sambo was a black boy who died in 1736. Sunderland Point was a port for Lancaster, one of the stopping places in the 'triangular trade' whereby goods were taken from Britain to West Africa and traded for slaves, who were then transported to the Caribbean. Ships then returned to Britain carrying goods like cotton and tobacco, and a few slaves such as Sambo. Sadly he died here, reputedly of a broken heart when his Master went off on another trip. More likely he caught one of the diseases of the western world against which he would have had little natural immunity. Sambo died in the building now called Upsteps Cottage, and was buried here, in the corner of a field next to a salt marsh, in unconsecrated ground. The grave remained unmarked until 1796 when a local schoolmaster raised some money for the metal memorial that contains his poetic epitaph. Another attraction for me about this particular gem is that it is so isolated and it takes some planning and determination to get there. If you are going there by car, you have to be aware that the access road to Sunderland Point is submerged by water twice a day. After that there is still a walk to find the grave, but once there you will be rewarded. Nowadays, one of the most enchanting elements is that the grave contains many mementos left in tribute by local school children. 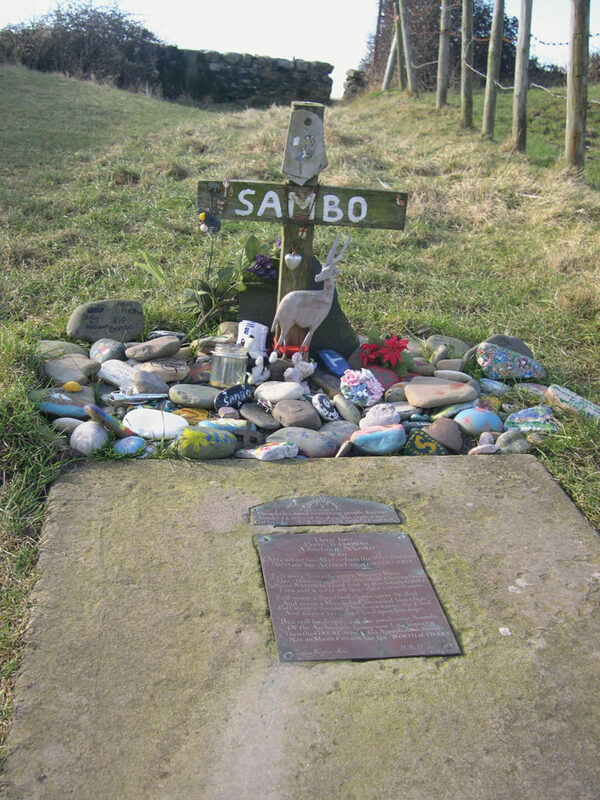 So young Sambo, who was once forgotten after his death, is now remembered by the young, and his story inspires them – and us – to more deeply reflect on these aspects of black history. 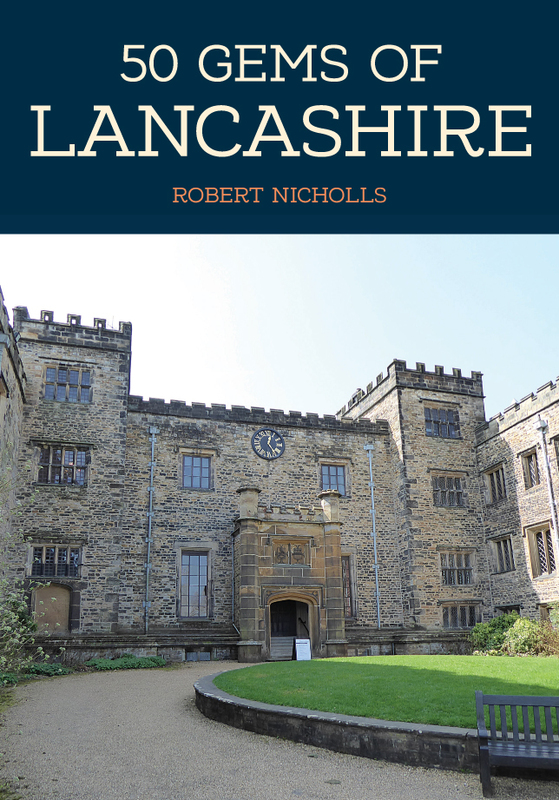 Robert Nicholls' new book 50 Gems of Lancashire is available for purchase now.